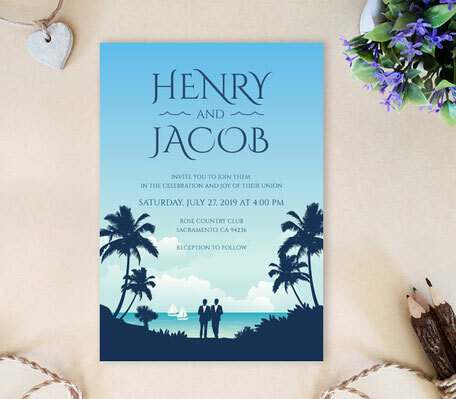 Just like your wedding location, our Gay Wedding Invitations are breath-taking and unforgettable. 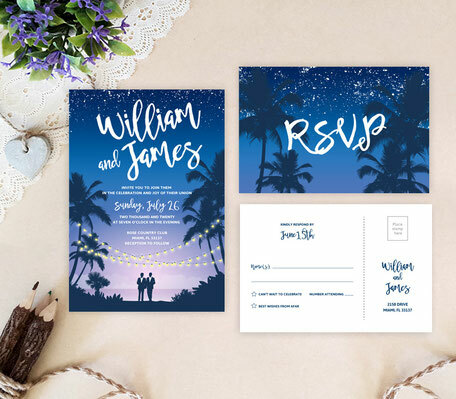 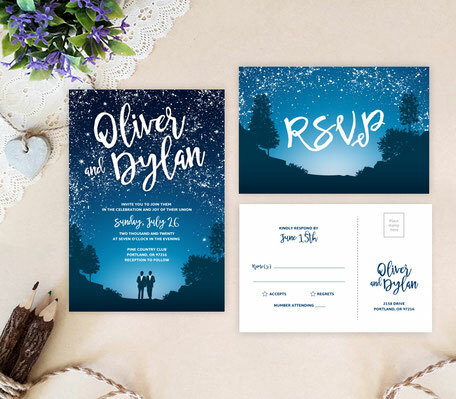 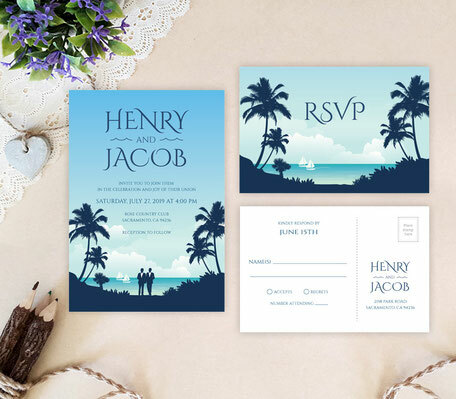 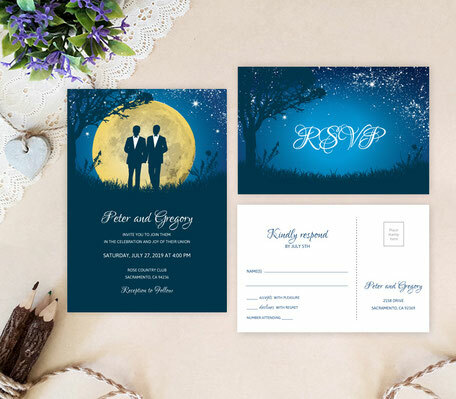 Inform your family and friends about your big day with our unique invites to tell them all about the important details regarding your destination wedding. 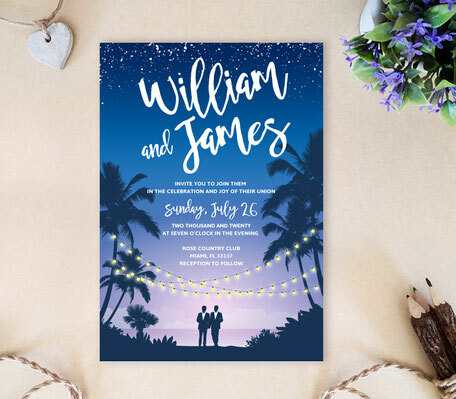 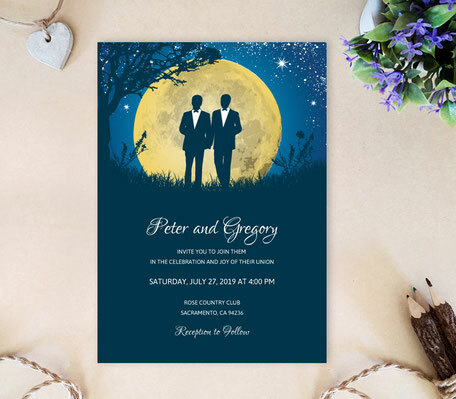 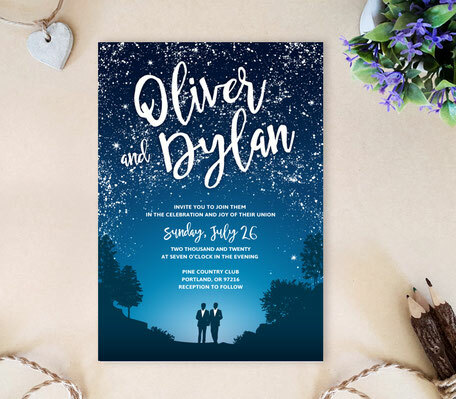 Simply browse through our selection of Gay Wedding Invitations, and select one that will best suit your romantic wedding location.